With the Oscars now over, it’s an ideal time to look at the cinema calendar for the year ahead and March is the perfect place to start. 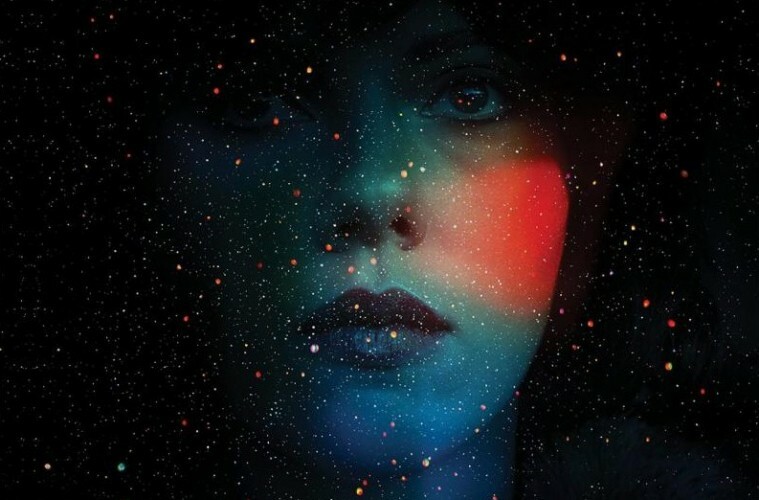 Be sure to check out the extended write-up on Under The Skin below, the latest film by Jonathan Glazer that I was fortunate to see at the London Film Festival last year and am already hot tipping to be my best film of 2014. 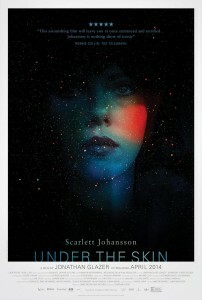 When I sat down to watch Under the Skin at the London Film Festival last year, I didn’t know what to expect. It was Jonathan Glazer’s first film in nearly a decade, featured Scarlett Johansson playing an alien seductress who drives around Scotland and picks up hitchhikers, and had already gained notoriety for being booed when it premiered in Venice. A heightened sense of anticipation swept through the auditorium as the lights went down… and when they went up 90 odd minutes later, there was stunned silence, followed by an eruption of cheers and applause. Vivid and visceral, strange and alluring, hypnotic and brilliant, few film experiences have matched the sense of true cinematic elation I had as I left the cinema. 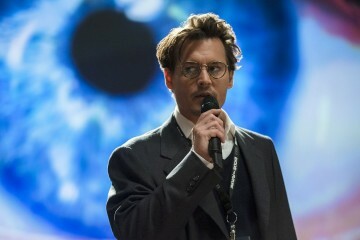 Glazer’s return to the big screen feels like a milestone in both vision and storytelling and will linger long on your mind once you see it… so make sure you do! 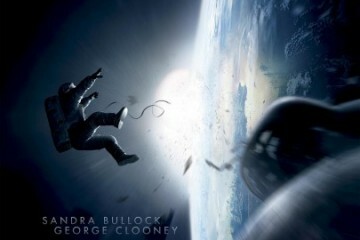 Very well received at film festivals last year, The Rocket (Mar. 14th) is a thoughtful and inspiring story of a young boy thought to bring bad luck to those around him that’s set against the backdrop of war-scarred Laos. 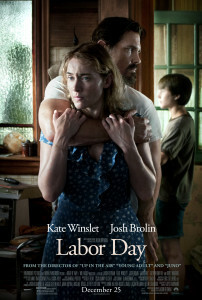 Also a popular choice at last year’s film festivals was Jason Reitman’s Labor Day (Mar. 21st). Starring Kate Winslet as a lonely single mother who begins to fall for Josh Brolin’s escaped convict, this partly silent drama is a notable change of pace for Reitman, a prolific director better known for heartfelt comedies then dark dramas. Young actor Jack O’Connell has been hotly tipped to be one of the UK’s top up-and-coming talents, and Starred Up (Mar. 21st) looks to be a vehicle worthy of his name. A father-son drama set in the heart of a rough jail environment, it’s a film that has already been well reviewed, specifically for its showcase of O’Connell’s immense talent. 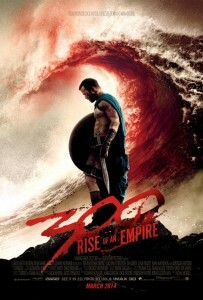 It’s been over 5 years since the original 300, but clearly there’s still a strong fan base as this month sees the release of belated sequel 300: Rise of an Empire (Mar. 7th). Gerard Butler’s Leonidas may have been killed on the battlefield, but his nemesis, Persian god Xerxes, lives and must now do battle with Eva Green’s Greek general on the high seas. There’s yet to be a truly decent videogame film, but hopefully Need For Speed (Mar.12th) will be an exception to the rule. Starring Breaking Bad star Aaron Paul and our very own Dominic Cooper, it tells the story of a street racer who’s out for revenge after he’s framed by a business acquaintance. Then there’s the next chapter in Marvel’s second phase, Captain America: The Winter Soldier (Mar. 28th). As we draw ever closer to next year’s sequel to Avengers Assemble, we find the good Captain struggling to find his place in our modern world; a problem not helped by the arrival of the mysterious Soviet agent, the Winter Soldier. If you’re not lucky enough to have been on holiday yet this year, you could do much worse than to take a trip in to the mind of Wes Anderson and stay at The Grand Budapest Hotel (Mar. 7th). With an all-star cast including Ralph Fiennes and Edward Norton, it’s likely to be another rich mix of astonishing visuals and layered characters to be lapped up by all those who truly love the medium of film. Meanwhile, Irish comedy The Stag (Mar. 7th) is likely to make you chuckle with it’s simple mix of good humor and likeable characters, particularly Peter McDonald’s chaos creating future brother-in-law to Hugh O’Conor’s good-natured groom-to-be. The second Aaron Paul recommendation this month is comedy-drama A Long Way Down (Mar. 21st). Based on the novel by Nick Hornby, it follows a group of strangers who meet in a precarious suicide spot on New Year’s Eve and form a surrogate bond with each other, in order to avoid any of them trying to commit suicide for a second time. The end of the month heralds that wonderful time once again, as The Muppets return to the big screen for Muppets Most Wanted (Mar. 28th). With a fine crop of human co-stars (including Ricky Gervais & Tina Fey) starring alongside the fabulously fuzzy stars, this second installment looks to be just as zany and fun as 2011’s reboot. One of the biggest films to be made following a Kickstarter fund, fans of America’s most intuitive PI will finally get to see her story be completed on the big screen in Veronica Mars (Mar. 14th: Limited Release). 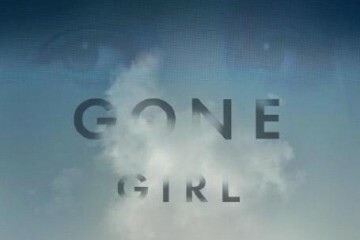 The original cast, including Kristen Bell, return in a film that sees Veronica head back to her hometown to help out old flame Logan after he becomes the prime suspect in a local murder case. It’s been nearly 5 years since Terry Gilliam’s last film, and even longer since his last impressive film, but here’s hoping The Zero Theorem (Mar. 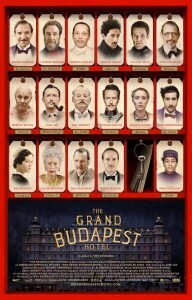 14th) will see a return to top quality filmmaking from the director. Christoph Waltz leads an impressive cast and the story – a visionary tale of love between a computer hacker and the woman sent to hunt him down – is delightfully oddball…fingers crossed. Weekend At The Movies: Where’s Amy?